Please visit https://www.lctcs.edu/human-resources/jobs for job descriptions and directions to apply. Interviews for the various positions are ongoing, and offers/appointments are expected soon. Additionally, after an extensive search, reviewing several applications, and interviews for the Director of LCTCS MEP of LA position, Dr. Ali Ahmad was offered the position and he has accepted. Dr. Ahmad was previously the Director of Operations for the MEP of LA. He is a professional with over 18 years of experience in industrial engineering, research and management fields. Prior to joining the MEP of LA, Dr. Ahmad was an Associate Professor and Head of the Engineering Technology Department at Northwestern State University of Louisiana. Dr. Ahmad is a Certified Simulation Analyst and a Certified Six Sigma Black Belt. Ali brings a wealth of experience and knowledge and I believe will do a great job leading the MEP of LA as Director. October is Manufacturing Month, a celebration of modern manufacturing meant to inspire the next generation of manufacturers. This year, Manufacturing Day was officially October 5 th , where Dr. Ali Ahmad, hosted a virtual Nepris session on Manufacturing Day titled “Careers in Manufacturing”. This year, more than 80 manufacturing day events were registered in Louisiana. Additionally, October is also cybersecurity awareness month, which is commemorating its 15 th year as an annual initiative to raise awareness about the importance of cybersecurity. The cybersecurity awareness month is a collaborative effort between government and industry to ensure every American has the resources they need to stay safer and more secure online, while increasing the resiliency of the Nation during cyber-threats. Dr. Ahmad and I look forward to working with the MEP team and LCTCS Colleges to continue partnering with manufacturers across Louisiana, who are working each day to make a difference in the lives of our communities, state, country and world through innovative products, value-added processes, and economic impact. 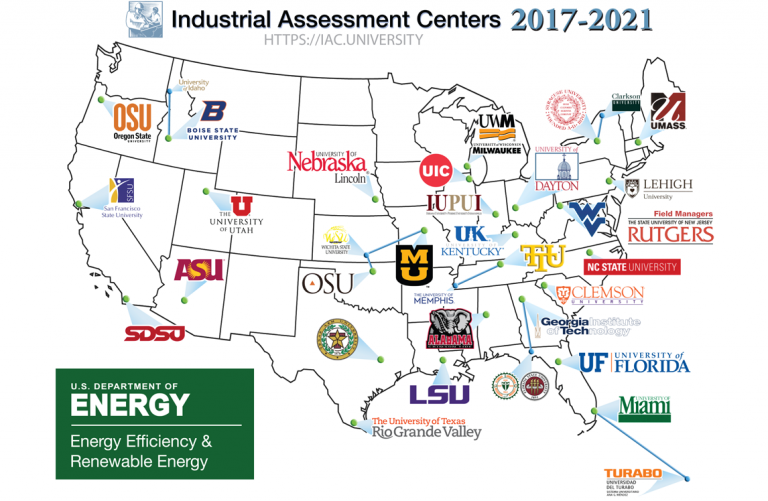 The U.S. Department of Energy Industrial Assessment Centers (IAC) are teams of university-based faculty and student engineers that provide no-cost energy, productivity, and waste assessments to small and medium sized US manufacturers nationwide since 1976. The LSU-IAC is one of the 28 centers funded by the U.S. Department of Energy. The mission of the IAC to conduct assessments with the goal to identify potential cost savings from energy efficiency improvements, waste minimization and pollution prevention, and productivity improvement. Recently, the LSU-IAC worked with MEP of Louisiana clients to complete two Energy Assessments which included a final report with Assessment Recommendations and scientific calculations on how much would be saved if the recommendations were implemented. According to Dr. Chao Wang, the Assistant Director of the LSU-IAC, "It was a great pleasure providing energy assessments to Louisiana manufacturers through collaboration with MEPOL. We were impressed with their knowledge, professionalism, and humility. Great to establish a connection with your clients, and the students have learned a lot from the assessments. We look forward to more future collaboration with MEPOL to make Louisiana manufacturers more competitive". There is no cost to the manufacturing plant for industrial assessments through LSU-IAC. The problem solving aspect of manufacturing has always been the reward for Chief Inspector Derek Taylor. As Chief Inspector, Derek Taylor takes on the personal responsibility for the overall quality of the products leaving the doors of Cadorath Aerospace on a daily basis. According to Mr. Taylor, “Being on the quality side of things bleeds over into [his] personal life giving [him] a proclivity for detail-oriented tasks.” In addition to inspecting the quality of facility products, Mr. Taylor is also responsible for supervising and training the department staff, delegating workloads to maintain the flow of products and assisting in solving any discrepancies before it gets to the next stage of inspection. As a Cryptologic Technician Technical (CTT) for the U.S. Navy, Mr. Taylor served as an expert in airborne, shipborne and land-based radar signals. Because of his experience in electronic intelligence-receiving and direction-finding systems, Mr. Taylor found Cadorath Aerospace to be the perfect fit in 2007 when he transitioned out of the military. Since then, Mr. Taylor has found his career path in quality to be the right choice. Starting out for Cadorath as a Bench Technician, he has worked his way up to Chief Inspector and is also the co-chairman of the Cadorath Aerospace Safety Committee. 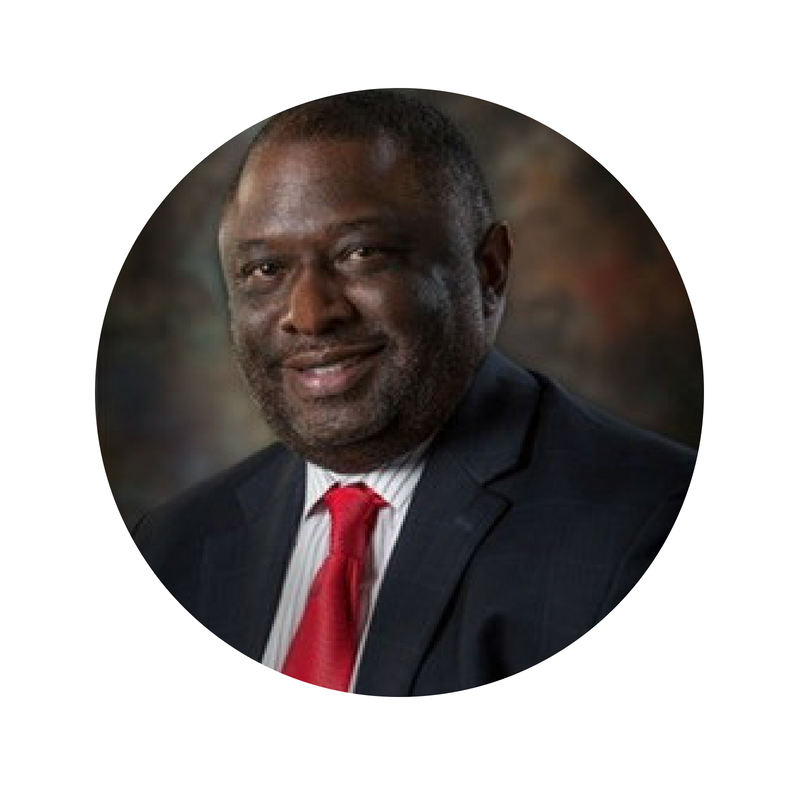 As co-chairman, Mr. Taylor is responsible for implementing procedures and policies for a safer work environment. Mr. Taylor also showed an eagerness for training when he joined Cadorath and he now trains employees regarding quality and inspection of products. “I really enjoy sharing any information, skills, or technical knowledge that anyone might find valuable. I feel being enthusiastic about training is valuable to the company and raises our overall performance,” Mr. Taylor said of his role. Even though he is involved in a lot of different aspects within Cadorath, Mr. Taylor says the manufacturing environment of problem solving – taking existing aerospace parts and restoring them to better or like new equipment – is the most rewarding of all. Located in Broussard, Louisiana, Cadorath Aerospace serves the aviation, agriculture, industrial, mining, and oil and gas sectors by manufacturing and repairing component parts. As a component part specialists, the company’s diverse set of skills and capabilities now include MRO services for OEMs such as Rolls-Royce, Honeywell, Safran, Airbus Defence & Space, Sikorsky, Bell Helicopter and more. Additionally, Cadorath Aerospace provides the distribution of aerospace parts and components for the rotary industry and offers services of fleet management and leased aircraft for operators around the world. 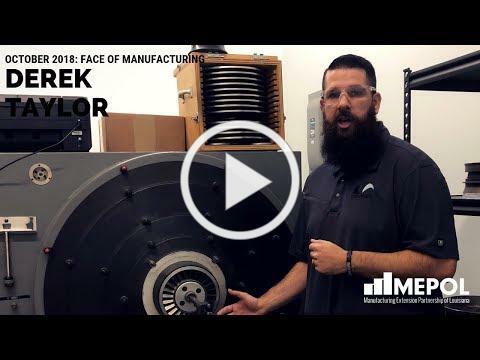 To nominate the next Face of Manufacturing, click the button, fill out the form and return to kayla.gentry@mepol.org ! What's Happening in the MEP National Network? 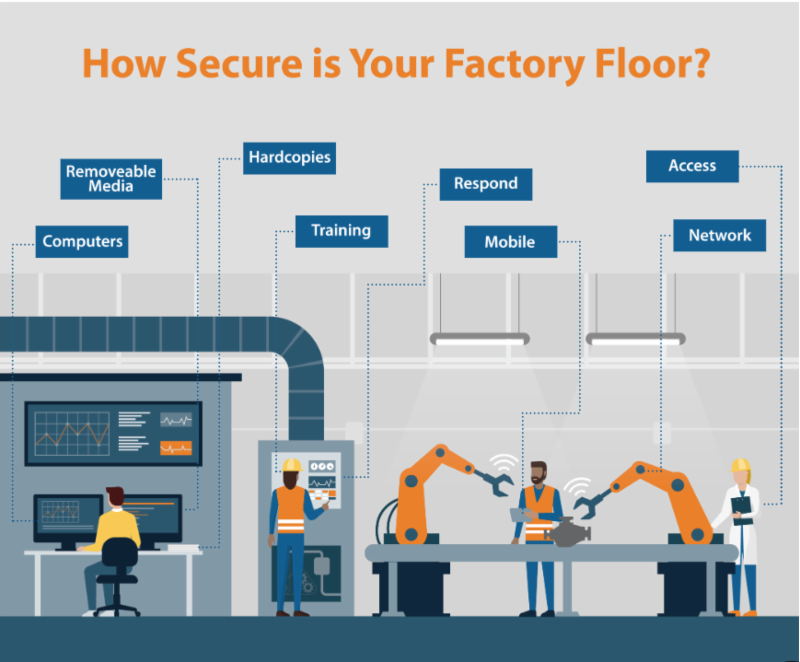 October is Cybersecurity Awareness Month and as such, NIST MEP has created an online Interactive Infographic - How Secure is your Factory Floor? As the manufacturing industry becomes more digitized, it is an increasingly popular target for cybercriminals. Visit Cybersecurity Resources for Manufacturers to learn more about managing your risk or take the NIST MEP Cybersecurity Assessment to self-evaluate the level of your cyber risk. Contact the MEP of Louisana for questions or assistance. Learn more about the MEP National Network .